Concrete is made of cement, gravel and water. When the water starts to evaporate, the remaining ingredients then harden into a solid slab of concrete. Unfortunately, this portion of the process can cause the concrete to shrink a bit, resulting in hairline cracks in the slab. Even though these cracks do not threaten the structural integrity of the house, it does provide an opening for groundwater, insects and even radon gas to pass through. The direction of a crack can tell you if you need to take action or not. If you have a horizontal structural crack, then it isn't anything to worry about. If you see vertical cracks, or cracks that look like a staircase, they indicate a far more serious problem and you may require structural crack repairs. If it's a hairline crack, these aren't very serious and can be easily repaired. Even if the magnitude isn't as severe (i.e. bulging or slanting), it's worth repairing to prevent bigger structural problems and cracks in the future. Most horizontal cracks happen with frost damage. Freezing temperatures can actually cause the concrete to shrink. Cracks can also be caused from an excess of pressure on the foundation from wet soil. The most important thing to realize is that if you see a bulging crack, this could mean that the home is slowly sliding off of its footing and needs to be taken care of immediately. Please remember that if you see large, recurring cracks or bulging walls inside your home, don't try to fix these conditions yourself! Call a professional so that he or she can evaluate the root of the problem and repair it appropriately. That's where we come in! At Select Basement Waterproofing, we also fix leaking cracks in your basement. We have warrantied solutions specifically designed to repair each type of leak in your basement or foundation. Select Basement Waterproofing is the leading structural crack repair company in New Jersey. Our team has been fixing basement wall cracks for over 20 years, so we definitely know what we are doing. We put all of our inspectors and installers through rigorous training, and only use our own full time employees on projects, unlike many of our competitors who often rely on sub contracting to others. 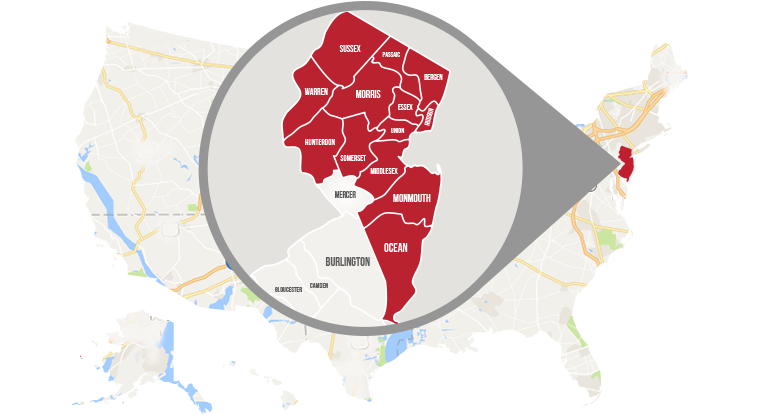 We serve most of the state of New Jersey, including Middletown, Brick, Toms River, Trenton, Lakewood, Clifton, Passaic, Gloucester East Orange, Jackson, Wayne, Irvington, Parsippany and Howell. We also stand by our work by offering 5 and 15 year transferable written warranties on most of our repairs. We can also help out with leaky basement cracks, crawl spaces and vapor barriers. If you have any more questions, feel free to check out our contact Select Basement Waterproofing page for more details.